Lovely dress from VERO MODA. 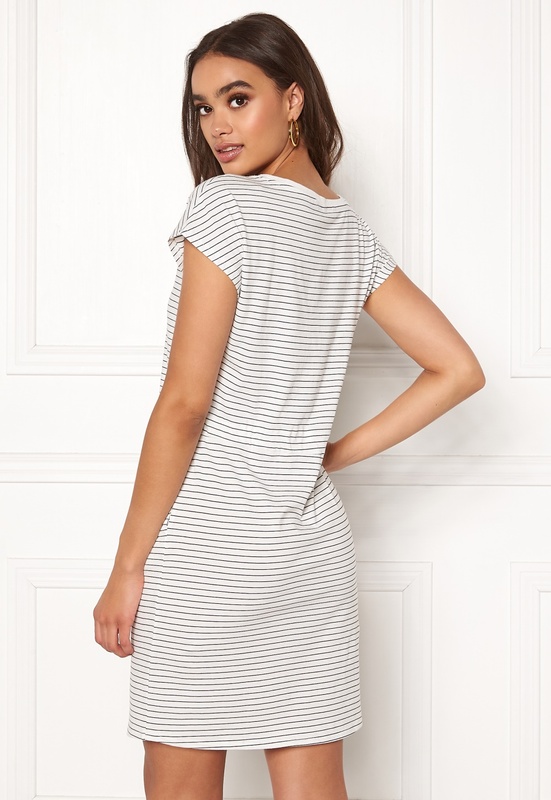 The dress has a stylish design with a tie waist, perfect for everyday wear. - Soft, stretch quality - Round neckline - Tie waist (non-detachable) - Front pockets Back length from shoulder 86 cm in size S. The model is 175 cm tall and wears a size S. Machine wash at 40 degrees.